Back in September, we published an article entitled “Taco Bell Trying Out Taco Shells Made of Fried Chicken” reporting on the breaking news that – oh man – Taco Bell was trying out taco shells made of fried chicken. Well, if you’ve been sitting on the edge of your seat since last year wondering how that whole experiment went, the answer is finally here: Apparently, it’s going pretty well – because soon, everyone should be able to get those fried chicken taco shells. Last week, BuzzFeed’s Venessa Wong took a deep dive into the world of Taco Bell fried chicken taco shells (because this is the world we’ve created!) and got the Mexican fast food chain to tip their hand ever-so-slightly on their future plans for the recently rechristened Naked Chicken Chalupa (since the good name of the chalupa hadn’t been bastardized enough). A Taco Bell spokesperson said that though a national rollout hasn’t officially been approved, “the results and consumer feedback are very encouraging.” Taco Bell senior manager of marketing Kat Garcia, specifically stated, “We’re just planning what’s the right the timing.” If only they held the Super Bowl twice a year! One of the brand’s biggest concerns: “We wanted to make sure people took it seriously,” she said. Oh, Taco Bell, I’m pretty sure no one has taken you seriously since the Meximelt. So what can we expect if the Naked Chicken Chalupa does get a full rollout? “We’re not going to market it as a health food item – I promise,” said Chief Marketing Officer Marisa Thalberg. She felt the need to mention that because reportedly some test consumers had been commenting on how “healthy and fresh” they felt the fried chicken taco seemed. 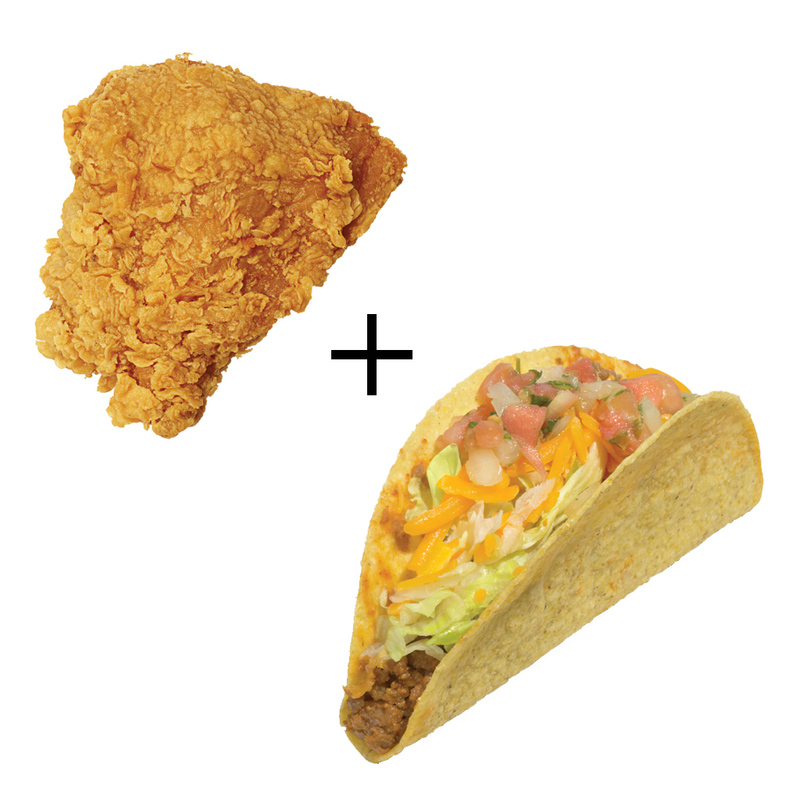 I mean, it’s probably the most healthy fried chicken shell taco on the market, right? ?